This was written by Eric, your haikuist. Posted on Monday, May 23, 2011, at 6:09 am. Filed under adventures in asia. Tagged Chiang Mai, Thailand, ziplining. Bookmark the permalink. Follow comments here with the RSS feed. Both comments and trackbacks are currently closed. 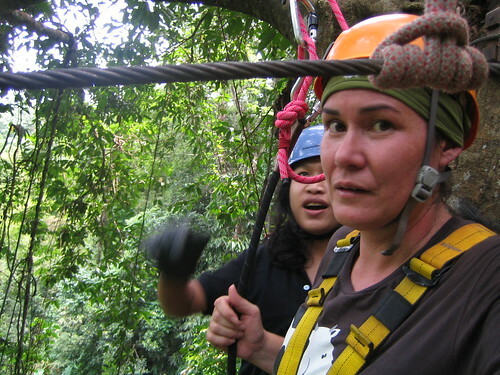 Rule 2 of ziplining: Don’t grab the line…ouch.